From the bustling offices of downtown to the retail landscape of Atlantic Station, modern Atlanta is a vibrant city that is open for business. With a metro population of nearly six million residents, the capital sits at the heart of one of the nation's largest metropolitan areas. An impressive assortment of notable multinational corporations call Atlanta home, and the city also counts a growing number of independent business and startups. 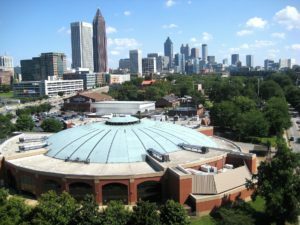 The city of Atlanta takes economic development quite seriously, having implemented a number of initiatives and legislative actions to make the community business-friendly. Of course, local companies also benefit from the sheer size of the metro area. If you're new to the charms of the ATL, you'll find this southern gem has plenty to offer. The community has been recognized as a world city, thanks to the economic impact it makes across the globe. Atlanta is also notable for being home to the nation's third-largest grouping of Fortune 500 companies. 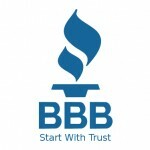 Naturally, many of these organizations maintain operations in downtown Atlanta and the surrounding area. With its potential for high foot traffic and location at the center of the metro area, it comes as little surprise that so many businesses are interested in commercial space within the city itself. Furthermore, according to projections, Atlanta will continue growing in the decade to come. Naturally, this will put more pressure on commercial property needs. Purchasing commercial developments and real estate in Atlanta can prove profitable for investors, but it's essential to take the right steps to systematize your operations. From finding the right tenants to securing monthly payments and maintaining positive cashflow, there are numerous responsibilities landlords need to address. 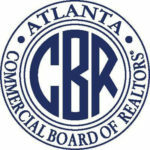 Many Atlanta property owners ultimately find it easier to work with a commercial property manager in Atlanta. 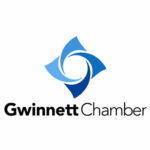 Of course, it's important to find the right Atlanta commercial property management firm to meet your investment goals. While some managers treat you like just a number in the crowd, your success relies on customized support. 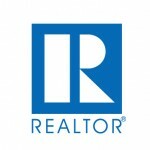 You need a partner who will represent your best interests and help you achieve the goals you've set for your properties. At Tenant Science, we have over two decades of experience working as Atlanta commercial property management experts. We've helped countless landlords to maximize the value of their investments. Our team will work hand-in-hand with you to create a management strategy for your property. Whether you own one commercial property and need a helping hand or you're juggling a massive portfolio of real estate investments, we're ready to help.